Dress: Gap // Blazer: Target (similar) // Heels: Forever21 // Clutch: Nordstrom’s (similar) Do you have a dress that is overly tight or fitted? I do, you’re looking at it. How did I resolve this? I threw on a fitted longer blazer. It hides all the areas that you don’t want to come out and play. 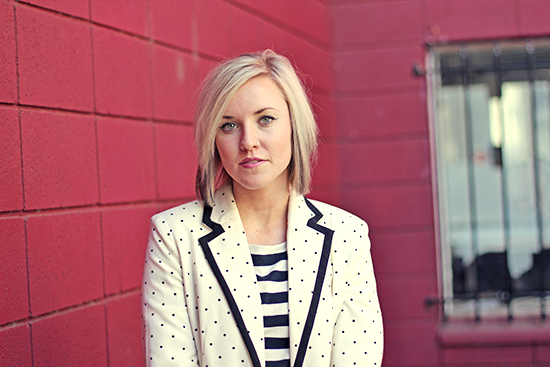 I couldn’t believe I found this polka dot blazer at Target–how great is the black piping?! I have to admit I’ve given up on buying Target pants. But their jacket section is a whole other story. Are guys ready for Valentine’s tomorrow? I’ve got to admit I’m not at all. Normally I like to do some hand made Valentine cards. And I don’t have anything for my guy yet. I’m thinking a concert ticket would be a fun idea. Enjoy your Thursday! It couldn’t look more adorable. This is one of those mixes that already turned into a classic. 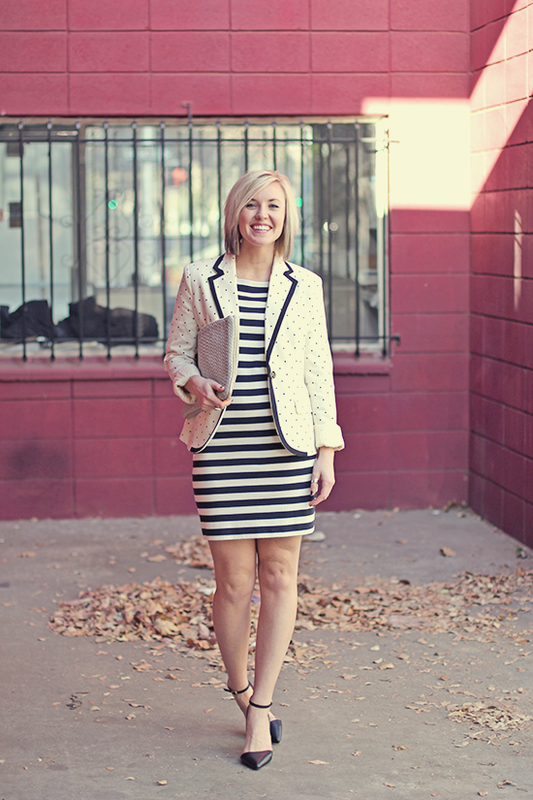 That dress looks great on you, and I love the addition of your blazer. The print mixing is spot on!